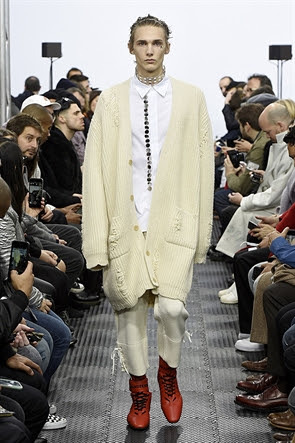 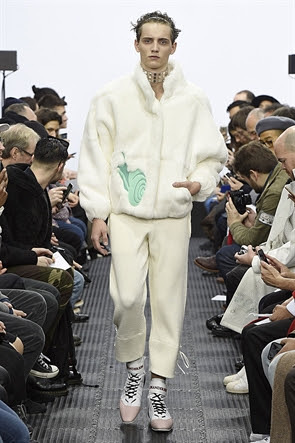 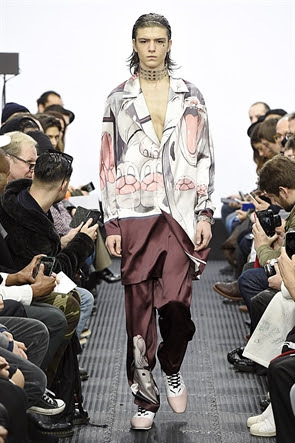 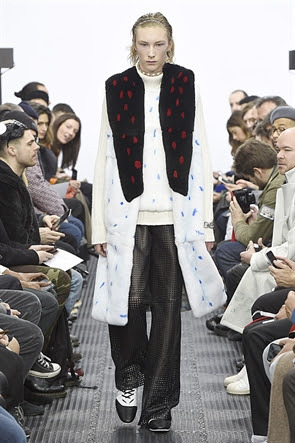 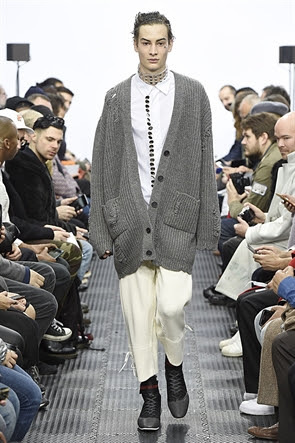 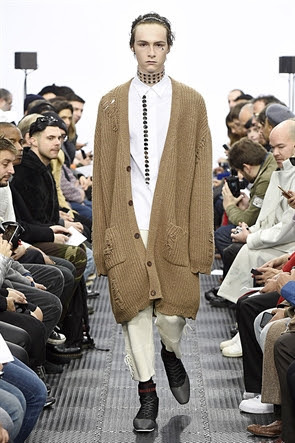 Jonathan Anderson brings out some of the most commercially viable Menswear from his stable, on the third day of London Collections Men. 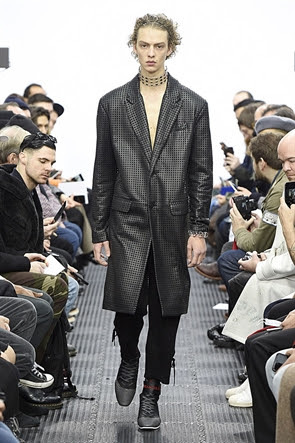 The stunning event wear blasted live on the LGBT communities most happening app Grindr. 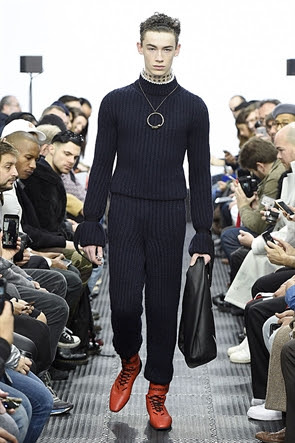 The chokers, knit trousers, satin pyjamas impressed most, accentuating sexuality and style. 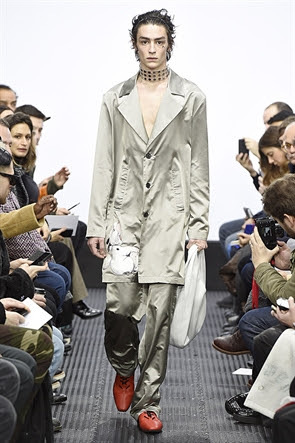 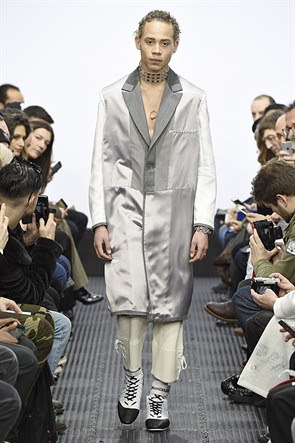 The show opened with a double breasted white jacket with beige trousers and lace-up sneakers, and every model wore a Perspex choker with silver metal flathead studs. 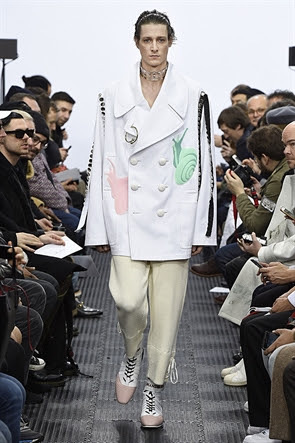 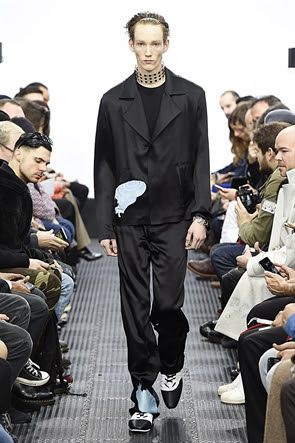 There was a string of Mollusks of varying sizes on several looks and some turned into embroidered trim on a black suit.